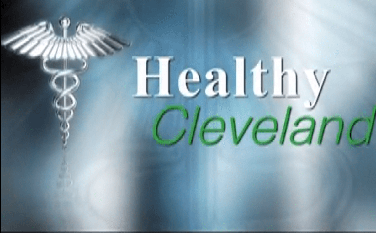 TV20 is back with another episode of Healthy Cleveland! In the first half of this episode, host Leah Haslage sat down with Jessica Jurcak from the Cleveland Department of Public Health and Karen Komondor from the Health Literacy Institute to discuss how Health Literacy can lead to quicker recoveries and healthier lifestyles. Health Literacy is defined as: “the degree to which individuals have the capacity to obtain, process, and understand basic health information and services needed to make appropriate health decisions” according to the U.S. Department of Health and Human Services. While many of us may be familiar with ideas like cholesterol, blood pressure, and nutrition values, do you know how to properly manage each of those to suit your lifestyle? For those who are living with diabetes, obesity, or high blood pressure, knowing how to properly measure each of those areas can be the difference between life and death. But Health Literacy goes beyond measuring insulin shots or caloric intake, it also involves knowing how to communicate with your doctor, and vice versa. While a doctor may use medical terminology or jargon when assisting or diagnosing a patient, they can ask to speak in simpler terms. It’s your right as a patient to leave an appointment with a better understanding of your medical ailment; whether that be knowing what steps to take to improve your condition, having the proper information if referred to specialist, or what symptoms you should keep an eye out for. After the break, we sat down with Tiffany Ashley from Merrick House to discuss MomsFirst, a Cleveland organization dedicated to providing support to expectant mothers in the City of Cleveland. By enrolling into MomsFirst, pregnant mothers will be given access to free home visitations & case management services until their child reaches the age of two. The goal of MomsFirst is to give their clients the necessary knowledge and literacy to keep their newborns/infants happy and healthy. While infant mortality may be one of the last things on any expecting mothers mind, it is an all too real occurrence, even in a developed country such as the United States. As of 2016, there were 6 cases of infant mortality for every 1000 births, or about 0.6%, in the U.S. While that already may seem low, ultimately the goal of programs like MomsFirst is to bring that number to 0. To learn more about MomsFirst, you can go to their website at momsfirst.org or call 216-664-4194.